CNN’s Don Lemon said Wednesday night that he would have snubbed President Donald Trump at former President George H.W. Bush’s funeral if he was former President Barack Obama. Chris Cuomo, whose show airs immediately before Lemon’s, condemned those remarks. “I don’t think it’s about faking the funk. I think it’s about showing respect for something bigger than them,” Cuomo responded. 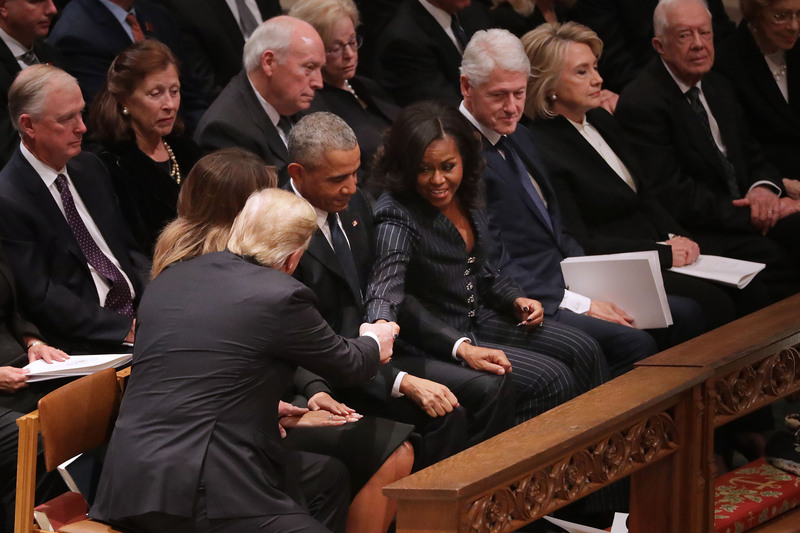 As Trump and Melania entered the National Cathedral to honor the late president, both of them shook hands and exchanged pleasantries with the 44th president and former first lady Michelle Obama. “They showed the ultimate respect for the office. They do not have to show respect for someone who does not respect them, someone who tweets out pictures of them behind bars. You don’t have to show respect for that kind of person. Let me show you what I would have done,” Lemon continued. Lemon then called over someone who works on the show, and the camera panned out to show a man approaching Lemon. The man reached his hand out for a handshake, and Lemon promptly turned his back to him. “You’re petty and small,” Cuomo interjected.